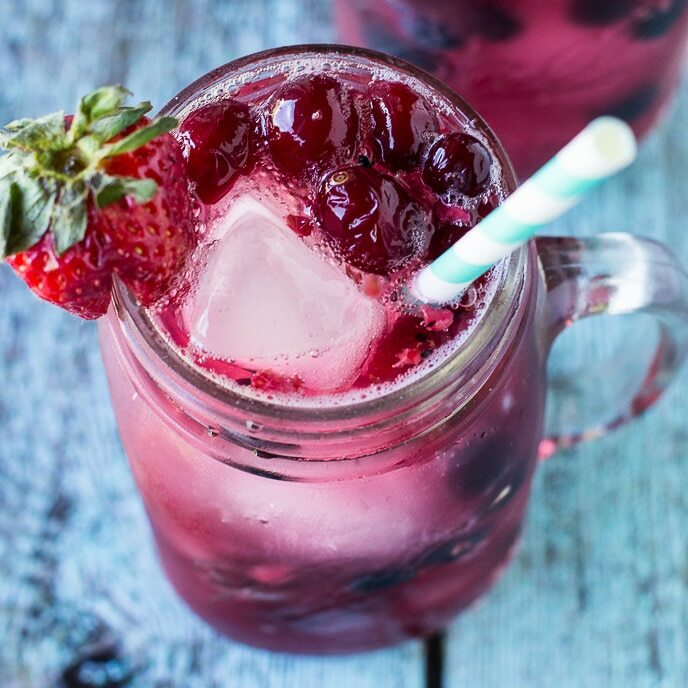 Let’s kick off summer with a delicious, and refreshing Very Berry Spritzer. I love making fun drinks for the summer, and this Memorial Day weekend we have lots to celebrate! This Very Berry Spritzer is my go-to drink for when friends come over at the last minute and I need to whip a drink. I always make sure I have a bag of frozen mixed berries, lemon-lime soda, and some fresh fruit like the strawberries to add on the side of the glass. Oh and you can’t forget the fun, colorful straws! And if you want to make this drink adult-friendly you could add a splash or two of vodka. I personally like to add blackberry vodka to these drinks, their just so refreshing on a hot summer day. So CHEERS friends to the start of a FUN summer sippin’ on these refreshing drinks. 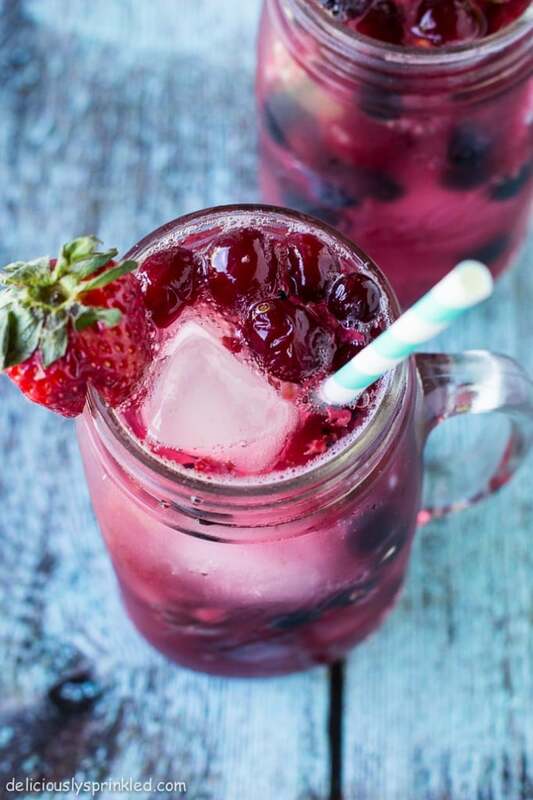 Oh and this Very Berry Spritzer is perfect for the holidays too! ● MIXED BERRIES: 1 (12 oz.) bag of frozen mixed berries. ● 7UP SODA: 1 (2 Liter) of 7UP or Sprite. ● FRESH STRAWBERRIES: 1 cup fresh strawberries. STEP 1: Pour frozen fruit evenly into 4 glasses. STEP 2: Add 2-3 ice cubes, and pour lemon-lime soda into each glass. 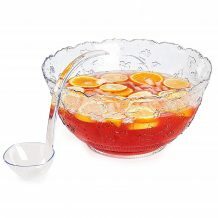 STEP 3: Stir each glass using a knife to mix the fruit throughout the drink. 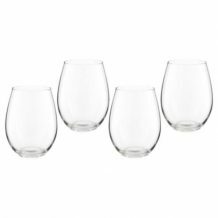 Slice strawberries and place on side of each glass. 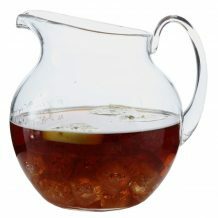 PITCHER: Perfect for when your having a small party. Oh my goodness. This sounds and looks amazing! But I was just wondering if I was to let’s say make is more of an adult beverage and add some blueberry vodka how should you suggest I go amongst doing so? I just want to sit in some sunshine slurping down a few of these! So yummy and fresh!! What a refreshing drink for the summer! I can’t wait to try out this recipe. Delish! Beautiful photos Jenn! Great recipe, looking forward to trying it out! The most perfect summer drink I can imagine, absolutely love it!! That looks so refreshing! Perfect to kick off summer with! I just love a good spritzer on a hot summer afternoon! And also, congratulations on your one-year anniversary. Here’s wishing you a lifetime of happiness! What a beautiful drink…and so refreshing too! I think I need one…right now! I can’t wait to try this…I spend half my summer out by the pool with the kids…this will be perfect! And your pictures are amazing!! 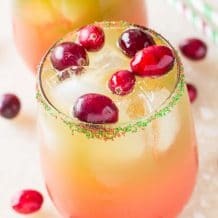 This is a gorgeous looking drink! I can’t wait to try it! 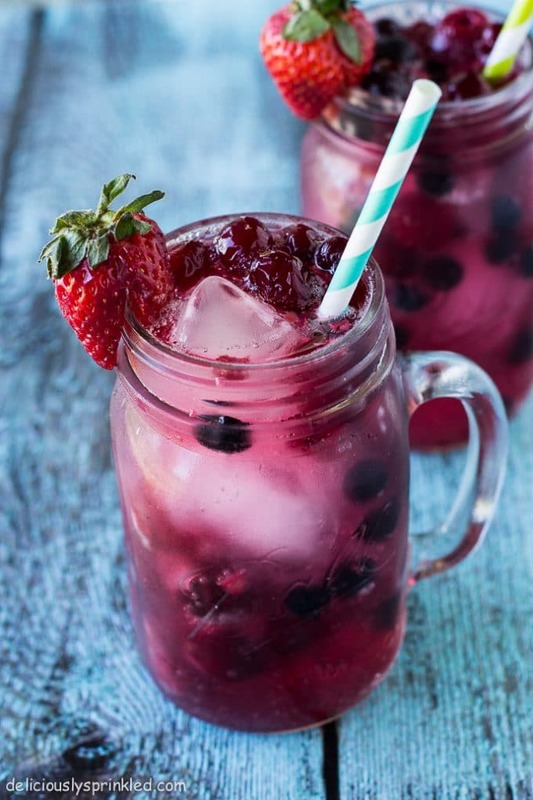 Oh my goodness these berry spritzers look so refreshing, perfect for sipping out in the sun! I’ll definitely be making these soon and I might have to add a little raspberry vodka too. 😉 Pinned! Such a pretty drink. Love it! So easy !! And Happy Anniversary! Never forget the colorful straws 🙂 I would love a glass of this while relaxing in my backyard this weekend. Have a great weekend, Jenn! Those drinks all look wonderful! What gorgeous photos! 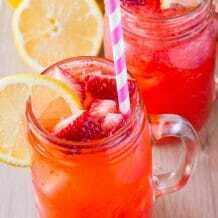 This looks so refreshing too! 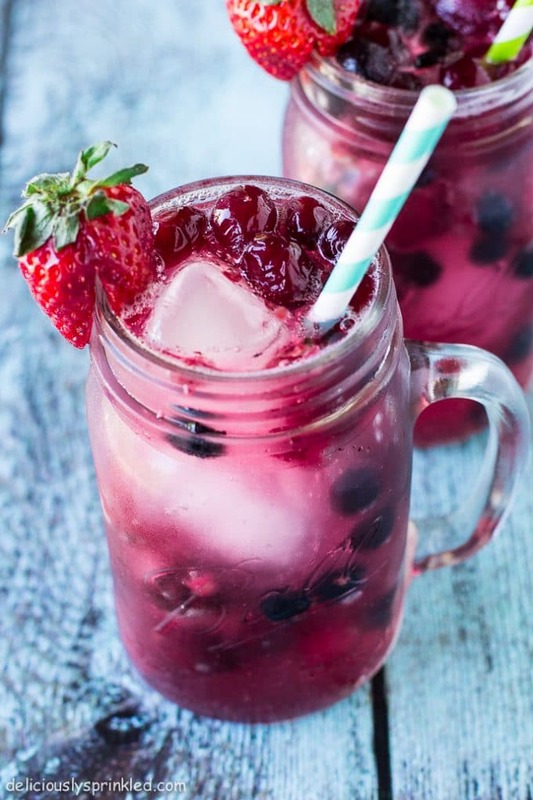 I love all the fresh berries in this spritzer, looks amazing! 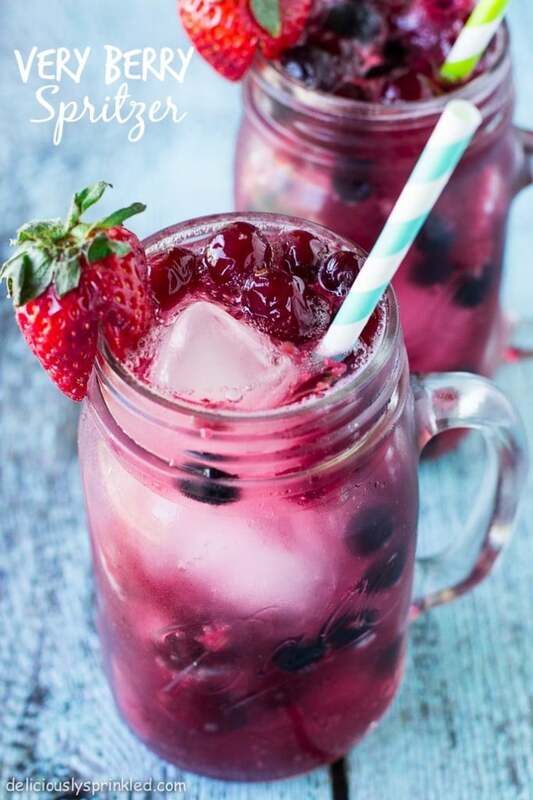 I love berry spritzers and it’s so easy for me to make them sugar-free! Gorgeous color and so refreshing, perfect for Memorial Day weekend! We are so going to make berry spritzers a thing. I absolutely adore your version! It looks so refreshing and delicious.